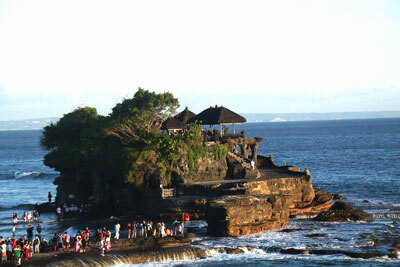 Tanah Lot tour is an exciting tour to visit the Temple on the rock with breathtaking view of sunset view as a backdrop. It is a half day tour with air conditioning car transfer and professional driver. 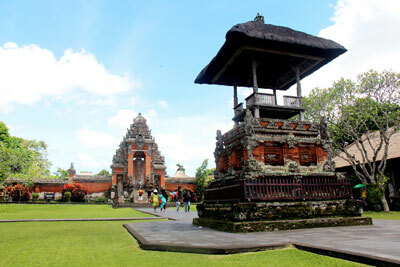 Depart from the Hotel for Pura Taman Ayun (Royal Temple) in Mengwi village. This temple is built in 1634; this picturesque complex surrounded by a moat with multi-roofed meru shrines an intricately carved wooden gate. 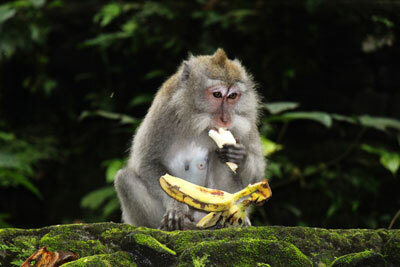 You will then proceed to the sacred Monkey forest, a cluster of towering trees which is home to hundreds of monkeys (long tail macacaque). Last stop is Tanah Lot, famous in Bali as the Sunset Temple.